This is a SPOILER FREE review. 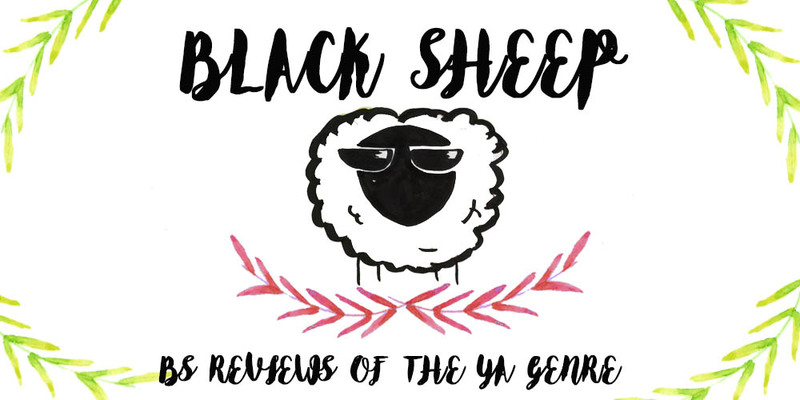 If you wish to read a more complete one, you can check out my Goodreads review. Alright, first I would like to clarify something. I loved the Raven Boys. I gave them four stars, put them in my favorites shelf, I even bought the entire series because I was so sure I was going to love it!... I'm really hoping it was just this book I didn't enjoy, otherwise a very painful read awaits me. My issue with this book was something that I talked about in my review of TRB, in it I said how the book felt both magical and cliché, unique and repeated. 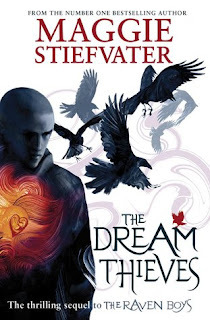 But while TRB was able to win my over with its magical writing and fascinating chaarcters, The Dream Thieves felt more like a poorly thought-out story whose author tried desperately to make it look cool by making it confusing and repetitive. Sadly, it did not work on me and I found myself bored and annoyed during the entire read. Ronan was the indisputable character of focus in this book. I had found him interesting in the first one, and I was looking forward to seeing how his story would develop. You see, Ronan has a unique especialty, he can take things from his dreams. Did you just read that? Yep, it sounded AWESOME. Imagine being able to bring to life your wildest dreams, from translating boxes, to birds and other living creatures, the possibilities were endless. Unfortunately, I don't think it was explored to its fullest and I was soon bored with it, even though I didn't think it was possible to get bored with making your dreams come alive. There was something in the narration regarding Ronan that, although I'm happy to see in a Young Adult novel, I don't think it should have been given the focus it was because there was much more to the character. I wish we had seen more of Ronan and his family, especially his brothers. Not just mentions of his life before. I'm just going to say it because after two books I still don't understand. Why the hell is Blue with the guys?! The book is based between the friendships of the five teens, but I honestly don't see why they are together. Blue and the guys have simply no friend-chemistry. Back in book one, there was something about Blue that bothered me and it has to do with authors creating quirky female characters who only befriend guys. "The fact was, by the time she got to high school, being weird and proud of it was an asset. Suddenly cool, Blue could’ve happily had any number of friends. And she had tried. But the problem with being weird was that everyone else was normal." This feeling was accentuated in book two, with Blue' behaviour towards her cousin Orla. Truth is, Blue is the different girl who thinks she's "not like other girls" and that makes her better. Blue's interactions with Orla consisted of Blue being offended that her cousin was wearing a bikini on a boat during summer and scuffing everytime she said something flirty. I was honestly incredibly annoyed with her, and I hated the comparisons that made Orla look like a "temptress" or whatever for being confident and therefore baaaad, and Blue being good in comparison because she covered her body up during summer. Besides this, it made little sense that Blue, who ahs thought of every possible escenario regarding her prophecy, would not consider the difference between "if you kiss him" and "when you kiss him". If means she has a chance not to make it happen (which baffles me why she keeps drooling over Gansey) and When means it's going to happen and there's no stopping it. His character was hard to settle on. At first, i really liked him just as in the first book. Even here when he was more and more angry and distrustful to the point of it being annoying, it made sense. Ada has been through a lot of abuse due to his father. He has never had people who actually loved him unconditionally, and so when someone offers him that he believes there's something else involved. When Gansey helps him, Adam believes he wants to own him because that's the only world he ahs ever known. However, there were times when his character could go over the top and be selfish and self-centered, I loved how Blue pointed out that he sees her more as something to gain than as an actual friend. He was... kind of there in the story. I really don't even know what to say about him because his character was not very present in The Dream Thieves nor was he relevant to the story. I did like his relationship with Ronan and how from his point of view we could see how Ronan saw him as more of a brother than Declan. Gansey's moments with Blue were cute, but after sometime they ended up annoying me. It became too melodramatic and angsty when it could have eben dealt with more intelligently by backing the f*ck away! He was an odd one. There were times when I thought his character and his plot were very clever, and others when I wanted to cry because everything was so dumb. As fot the story itself... nothing really happened and my God was it boring! Apparently something goes missing, inconsequential drama, it gets fixed. The end. The Dream Thieves introduces new characters and more dimentions to its old ones, but it is plagued by a meaningless plot and drama. However, I was one of the few who didn't like this book so if you liked the Raven Boys, give it a try!! !